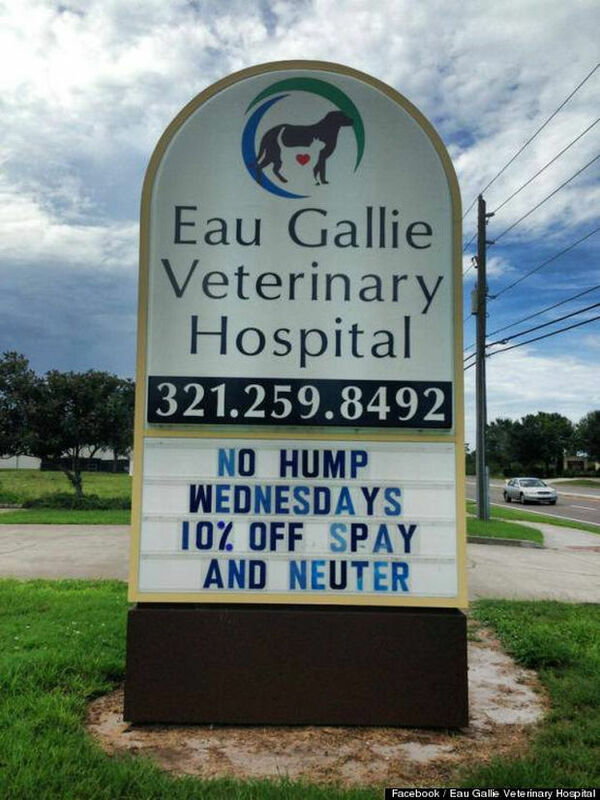 A vet hospital in Melbourne, Florida, Eau Gallie Veterinary Hospital, regularly displays hilarious messages on their billboard. 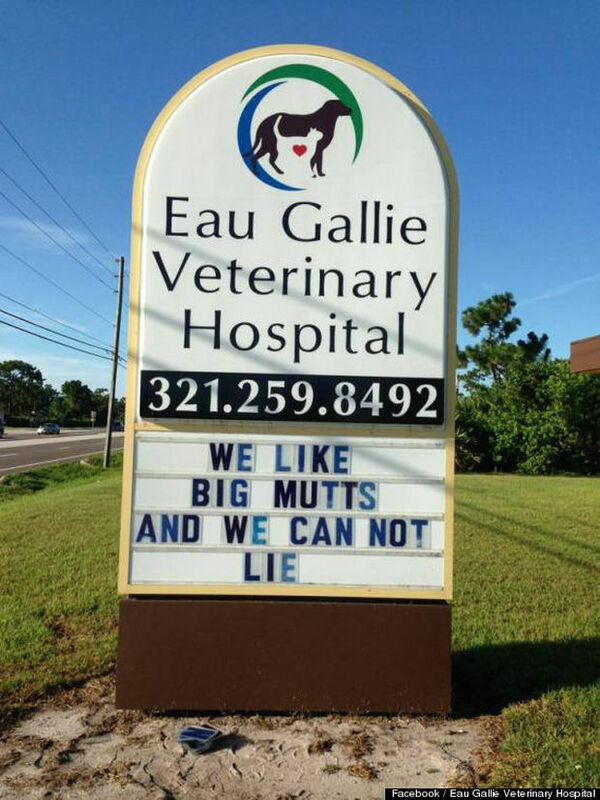 As cliche as it sounds, laughter is the best medicine and while your pets can’t read these funny vet hospital signs, we’re sure you’ll get a kick out of them! 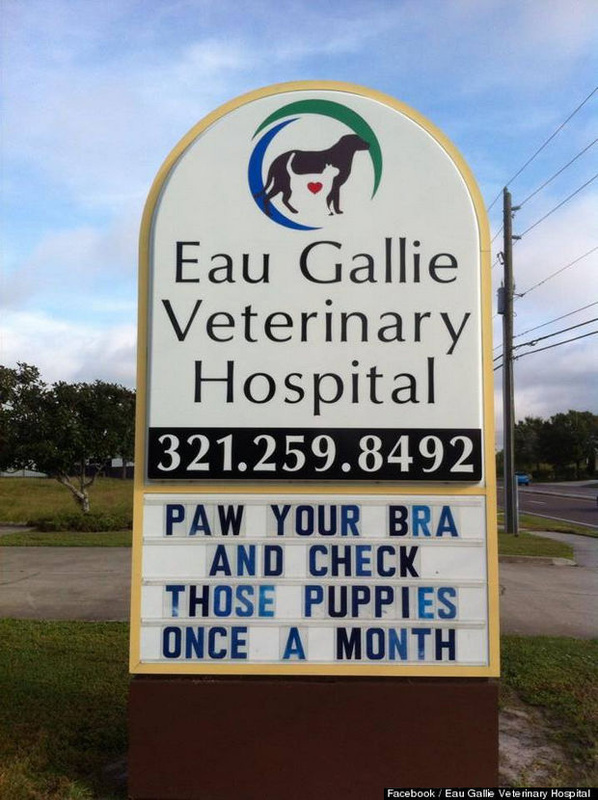 The sign above was for breast cancer awareness month and a very clever way to raise awareness. 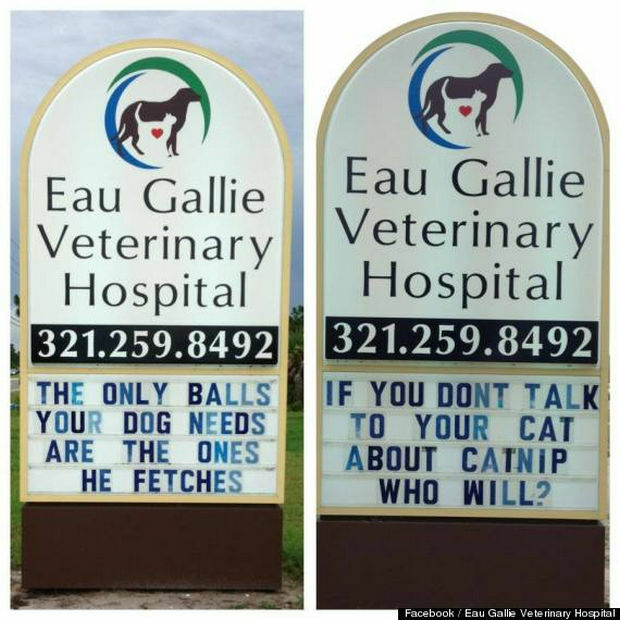 I think it’s safe to say that pets hate going to the vet but with signs like this, pets would get a chuckle out these if they could read! 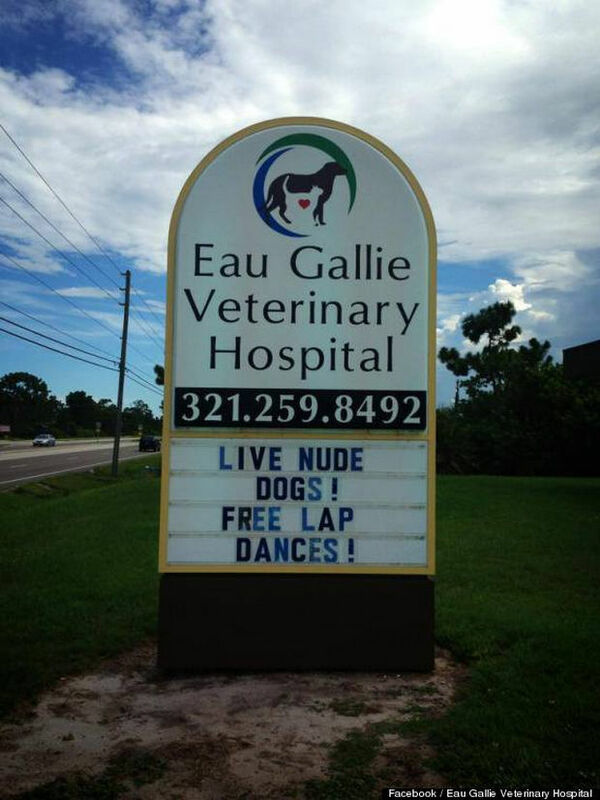 Please share these funny vet hospital signs and provide a good chuckle to friends and family. 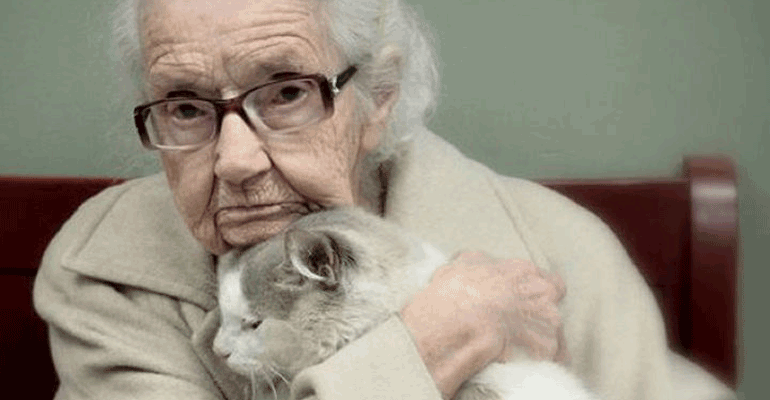 This 102-Year-Old Woman Recently Lost Her Cat. 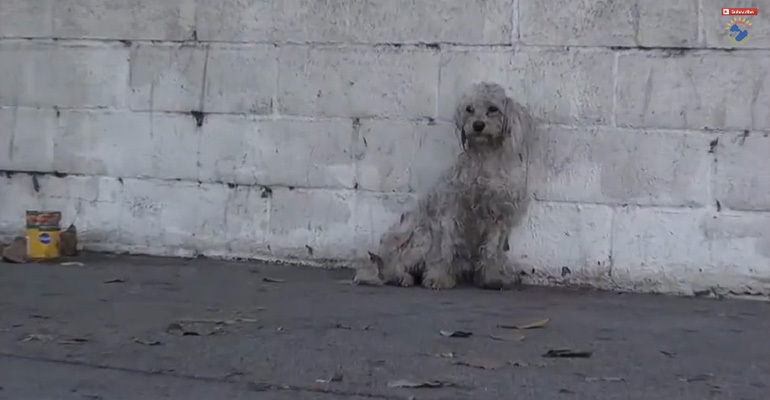 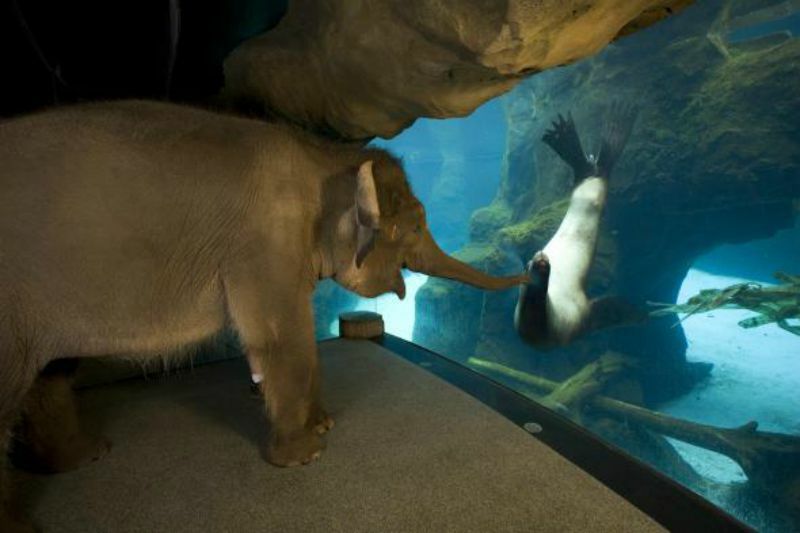 What Happened Shortly Afterwards Will Warm Your Heart.